Hey trucker are you ready to deliver the biggest, oversized cargo to the Alaska warehouse? If your are the real trucker, then this extreme, big truck simulator game is just for you! So choose your favorite ice truck from 4 given ones: Heavy Pedal, Truckasaurus, Mammoth or Terminator, hook up the trailer with an oversized truck load, start the engine and drive on extremely dangerous roads! 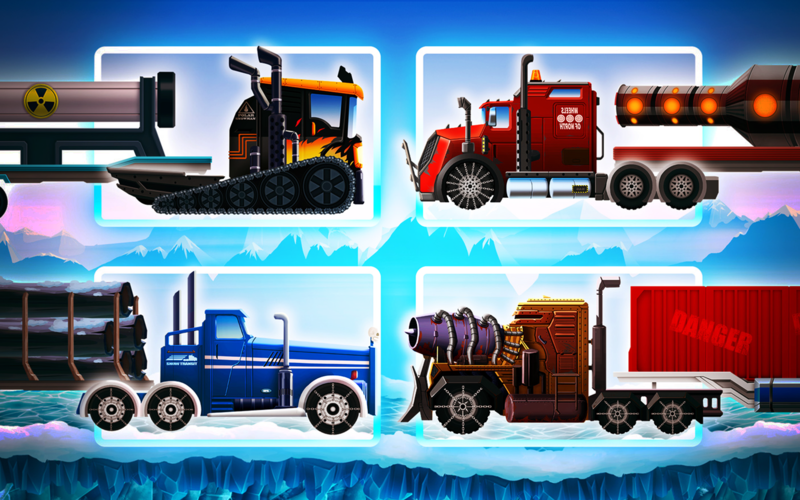 ◆START the engine and drive on the frozen sea with your favorite ice truck: Heavy Pedal, Truckasaurus, Mammoth or Terminator! 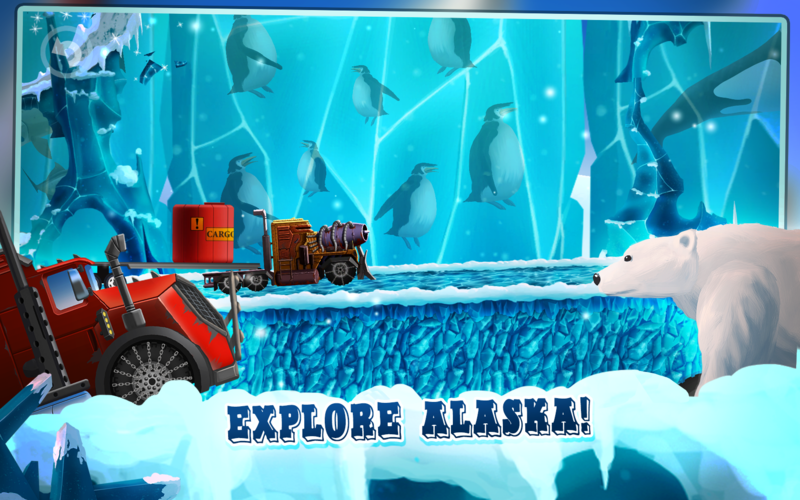 ◆HOOK UP the trailer and deliver different type of cargo to the warehouse in the Alaska: timber, planks, tires, water bottles, nuclear waste, dynamite, oil, giant rocket and more! ◆PLAY this extreme offroad truck simulator game and safely deliver an oversized cargo or at least an empty ice truck trailer to the warehouse! 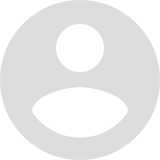 ◆AVOID staying for too long on a floe, otherwise you will drown into the frozen sea! ◆DRIVE quickly through a thin ice, otherwise it will crack. ◆SLOW DOWN when driving your big truck with a trailer over the timber bridge, otherwise it will fall down. 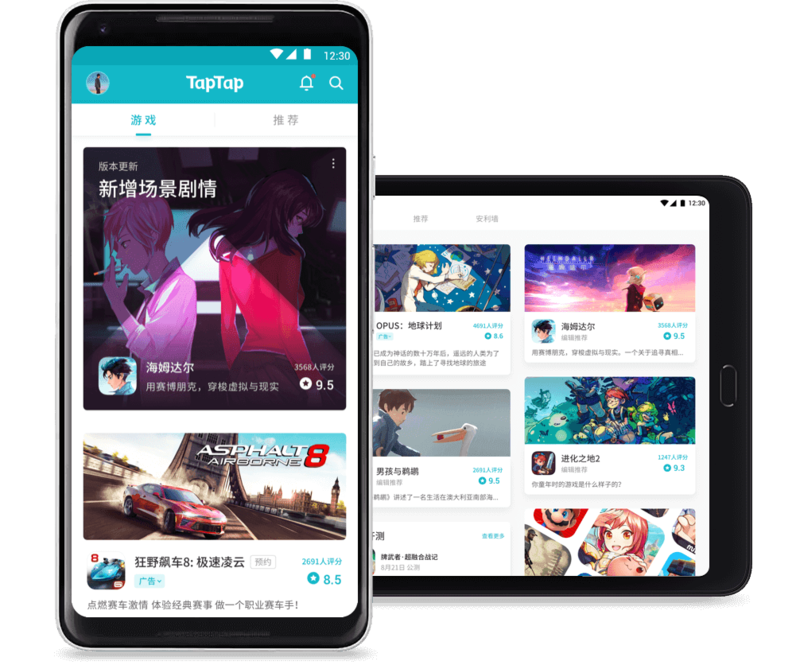 ◆DRIVE on a steep hills, frozen sea, dangerous roads, high mountains and hazardous offroads. ◆MASTER your offroad truck driving skills while racing in this extreme offroad truck simulator game. 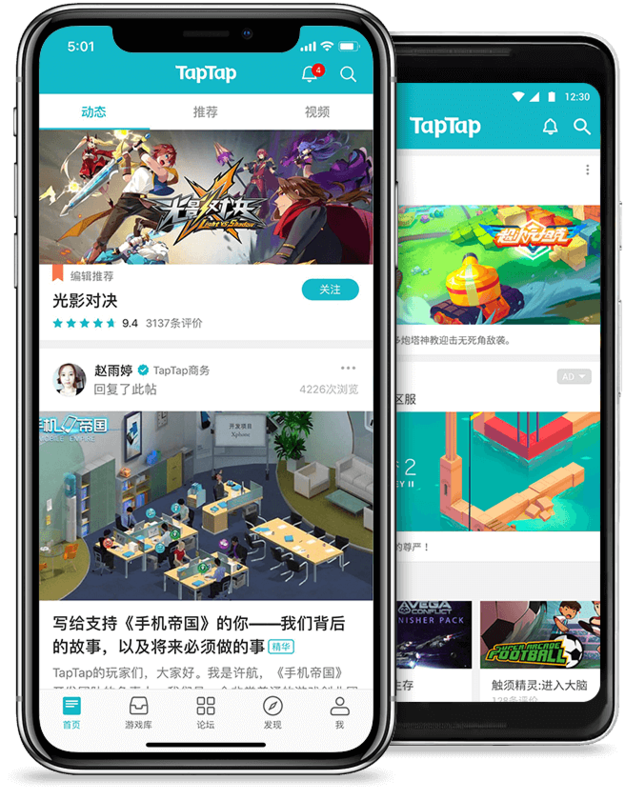 ◆Use GO button to drive forward, BACK button to move backwards and ARROWS to balance your big truck and its oversized cargo. 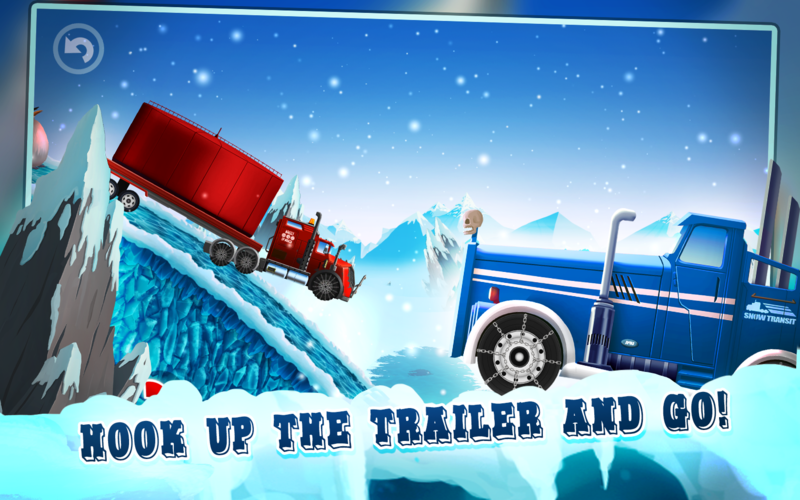 ◆PERFORM extreme stunts and dangerous flips while driving in this crazy winter truck racing game. ◆DRIVE on the frozen sea in the deep Alaska, explore the far North and meet polar animals as whales, penguins and polar bears. ◆HAVE FUN in different Alaska winter: weather when cloudy, when sun is shining or when snowing. ◆ENJOY realistic, physics-based big truck racing experience. 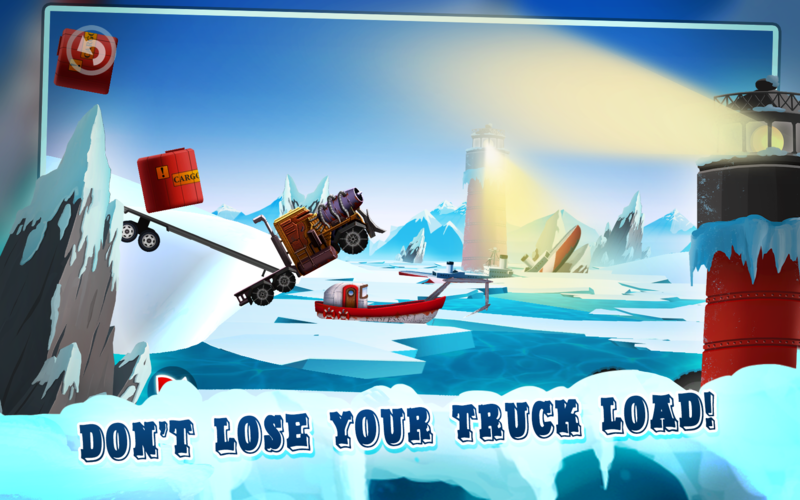 ◆DON’T lose your trailer full of goods, deliver it to the warehouse in Alaska and earn more money! 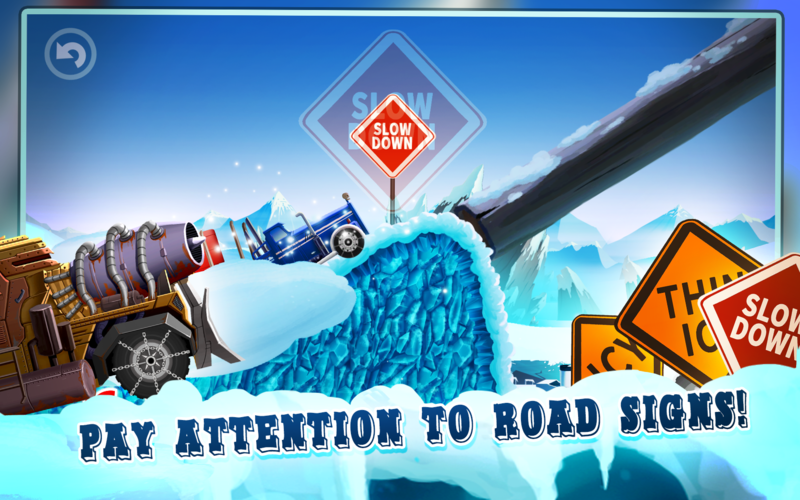 ◆COMPLETE 12 ice truck racing levels on these dangerous roads, win coins and unlock new trucks and cars! ◆RACE in this offroad truck simulator game and STIMULATE your reaction, DEVELOP hand-eye coordination, self-preservation and self-control and IMPROVE problem solving, quick decision making and flexible thinking skills. 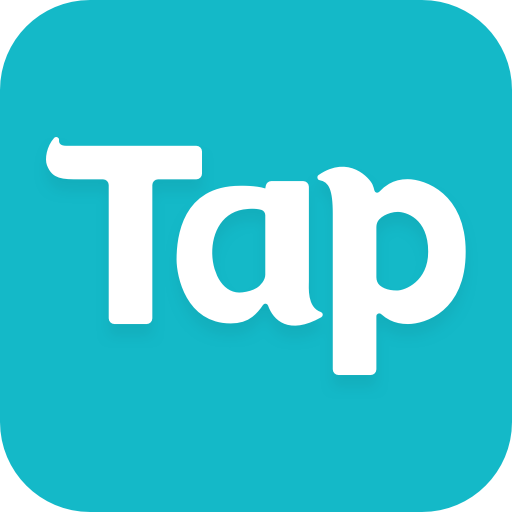 ◆ENJOY beautiful game graphics, animated game characters, North animals, great sound effects, realistic trucker ‘s voice-overs and trucker style music. 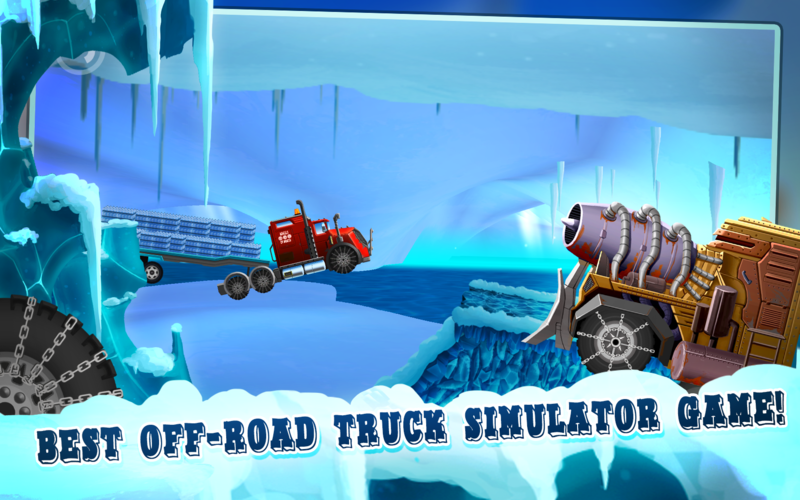 Play this offroad truck simulator game to become the greatest ice road trucker! Prepare to drive on a slippery and dangerous roads, frozen sea, steep hills, high mountains and extremely snowy offroads! 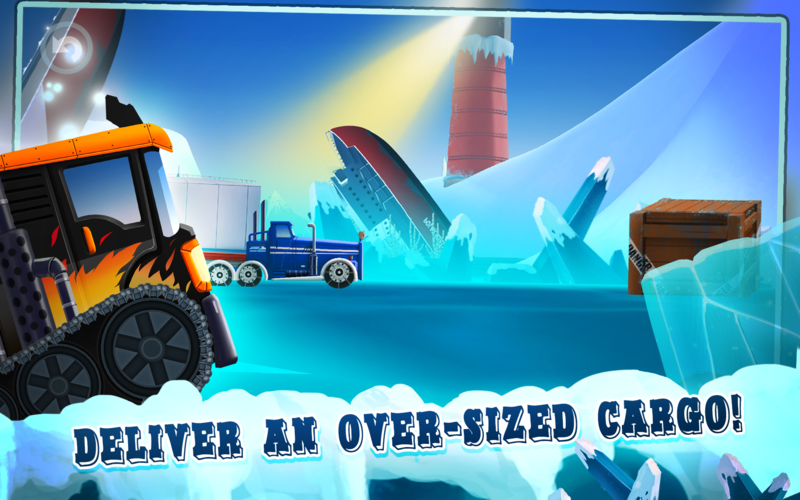 This is the best winter truck racing game for those who are passionate about driving a huge ice truck and delivering an oversized cargo to the warehouse while driving on extremely dangerous roads. So turn on the radio and drive!